3460 Ben Lomond Place, Los Angeles, CA 90027 | Sotheby's International Realty, Inc.
$1,200,000 3 Bedrooms2 Full Baths1,818 sq. ft. 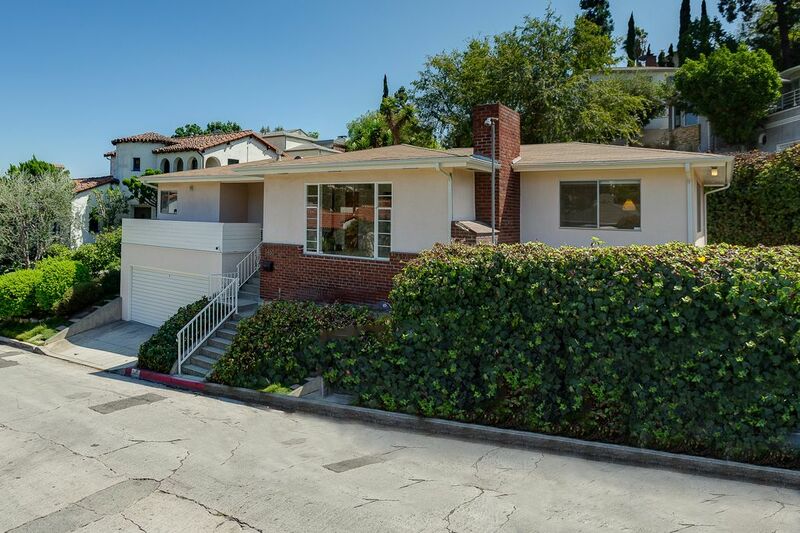 This chic mid-century ranch is located in one of the most sought-after pockets in Los Feliz; tucked away on a picturesque gentle slope yet just a few blocks from the heartbeat of Los Feliz Village. Set above the street exuding classic mid-century appeal, this home has been well maintained by the same family for generations and serves as a blank palette to showcase your creative designer touches . Formal entry leads to open living room and dining area with fireplace. Oak paneled 3rd bedroom leads to large private patio and large grassy side yard. Franklin Elementary. This amazing opportunity will not last!